There’s a reason why so much of the show’s story is filtered through the eyes of surveillance devices�through the Machine�and why it’s worth talking about week in and week out as one of the characters of the show. This first season of Person of Interest has been driven almost completely by the omnipotent presence of technology and its many uses to be both a blessing and a bane to man’s existence. 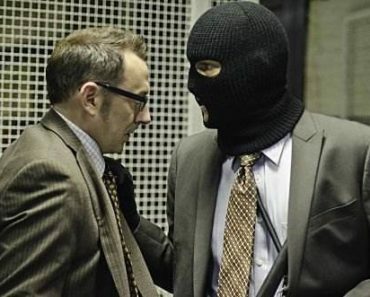 For the purposes of the series, it brought Reese and Finch together to help people, and now it has separated them in the season’s final moments as the Machine has finally fallen into the wrong hands. 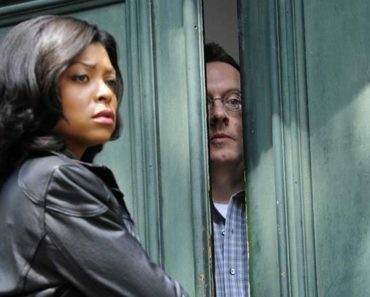 You knew it wasn’t quite going to be business as usual for our team when the show opened up on Reese already being hunted down with the current POI in tow. After that panicked beginning, the show used its own Machine-driven flashback device to take us to an earlier point in the day so we could see how it would all begin to go wrong for Reese and Finch. Stop me if you’ve heard this one before in this first season, but the exact moment it went wrong was the moment the Machine spat out its latest POI for the duo to pursue. As a passionate Joss Whedon fan nothing makes me personally happier than when his alumni get work on shows I watch, so Amy Acker appearing on POI definitely gave this storyline the right balance it needed as she would go on to betray our team in way that will have consequences for the story leading into the next season. If there’s one criticism to be had for the season so far, it would have to be in the audience starting to expect a twist with the POI of the week. I admit that when I watch the show that I’m almost constantly waiting for the other shoe to drop, and if you’re expecting a twist then it simply can’t really be a twist at all. 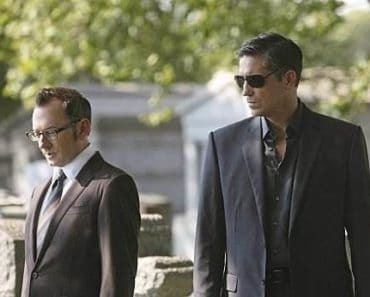 As it stands, the POI part of the episodes are such a focus that they determine how good any given episode will be on a weekly basis�bad POI equals less than compelling television and that’s already happened a couple of times this year. 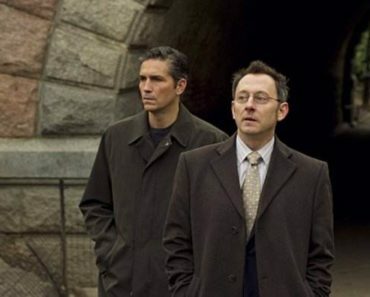 My hope for the second season would be for the show to use as little random POI’s as possible and instead use these people in a way that will start to relate to the main arc of the series as pieces of a larger puzzle. Last night was the perfect example as damsel in duress Caroline Turing turned out to be the mysterious hacker/saboteur extraordinaire Root who had already faced off once with Harold Finch online earlier this year and now had the chance to turn his life upside down in person. 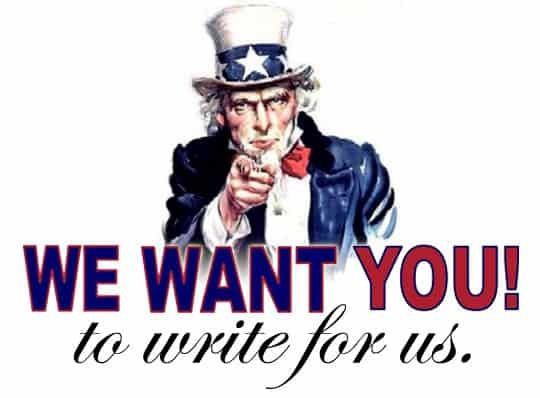 When people pitch this show to their friends it’s most likely on the strength of the through-line of the plot as opposed to the procedural element within the nature of the storytelling. That’s truly what’s made this a season of some entertaining and engaging television as the attention to long-term arcs for both the plot and the characters keep the audience invested in a way that your standard ‘�of the week’style episodes just won’t. The final battle was more than a gunfight, and the fact that this show has yet to meet a car that it didn’t want to blow sky-high in spectacular fashion�it was all about the character moments. Seeing Fusco’s redemption arc come full circle as he fought back against HR and all the corruption within the force they stand for was satisfying. It let the audience feel proud of a character for coming so far from the dirty cop who Reese chose to keep alive in the first episode. It was great getting to see former badass POI security consultant Zoe pop back up to assist the team as well, and let’s start petitioning now to see her far more in season two because no one’s quite energized Reese the same way as she did. When Finch gets kidnapped by Root and Reese is left alone to stare at the figurative eye of what caused all of this to happen in the first place there’s an added thrill in being able to guess who’s on the other end of the ringing payphone he answers before the episode fades to black. My guess is Elias, as I really can’t think of anyone else who would be more trouble with both the Machine and the man who built it under his thumb, and the fact that you could all but hear his infuriatingly calm ‘�hello John’over the line despite the fact we were cut off from knowing until next year. Reese and Finch have made a dent in trying to clean up a corrupt city (as we see with most of HR getting busted) and their work has only just begun now that people know about the Machine and all the power it has inside of it. 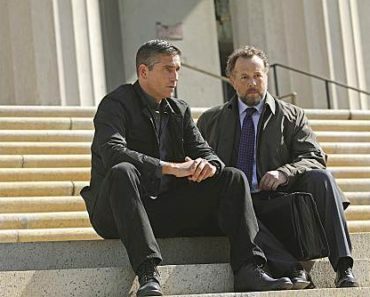 Even though John Reese stood alone on the pavement in the final scene, he has new allies that will help him continue this work and to accomplish his new mission: get Harold Finch back in one piece. Man and machine can make strong allies, but it looks like Reese is going to have to fight against the Machine itself if he wants to succeed–the man in the suit is nothing if not determined and willing to do whatever it takes to get the job done.